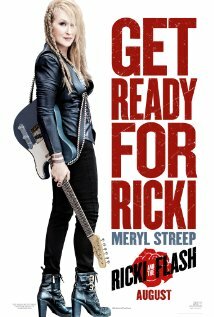 Showing this weekend Sept 18-20 is Ricki and the Flash!! Fri-Sat the movie starts at 7:30 on Sunday it starts at 5:30! This movie is rated PG-13 and stars Meryl Streep, Kevin Kline, Mamie Gummer.